The exterior is finished in premium leatherette, assembled with uncompromising precision and attention to detail. The playing surface is an ultra fine padded felt, offering a luxurious glide for the checkers that will delight your senses. The checkers are a hefty 1.0" diameter and 1/4" thick. 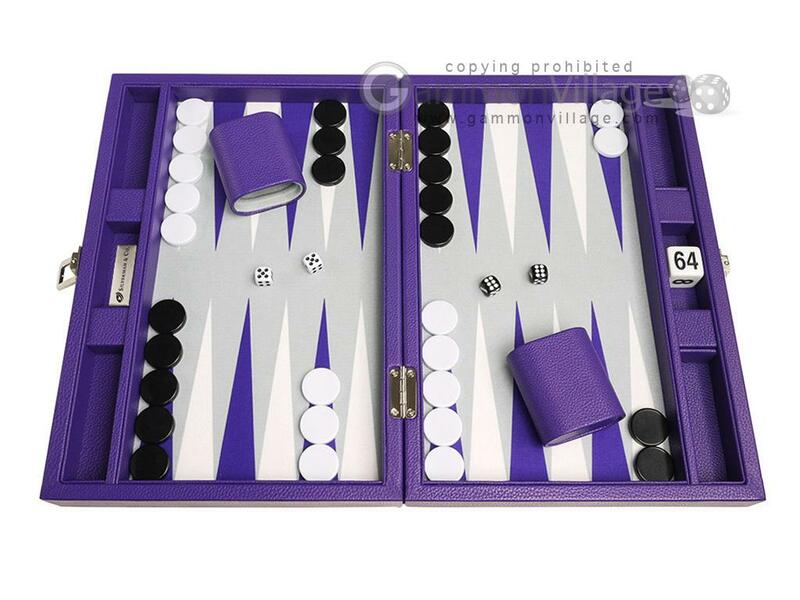 Best of all, the checkers fit perfectly in the home board, with minimal gap when side by side. Closed Length: 13" Width: 9 1/4" Height: 2 1/2"
Open Length: 13" Width: 18 1/2" Height: 1 1/4"
Cup Height: 2 1/2" Width: 1 3/8" Length: 2 1/4"
Page P5445 Copyright © 1999-2019 GammonVillage Inc., USA. All rights reserved.